The SUArt Galleries is Syracuse University’s fine arts museum, offering the SU community and the general public a dynamic schedule of engaging and thought-provoking exhibitions, all of them enriched by public programs. 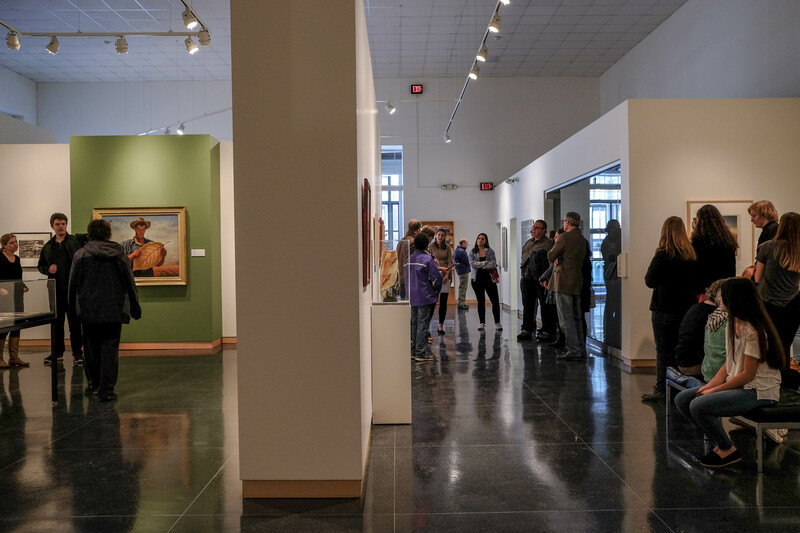 With its emphasis on American art and interpretation, and a focus on exploring art in its historical, cultural, and social contexts, the SUArt Galleries serves as a museum-laboratory for our students and university community. Its vision is to provide meaningful educational experiences and encounters with the visual arts. The educational experiences will concentrate on exhibitions from the university’s encyclopedic permanent collection and temporary exhibitions from outside collections examining a broad spectrum of visual arts themes, subjects and time periods.